Eating disorders includes extreme emotions, attitudes, and behaviors pertaining to food and weight. 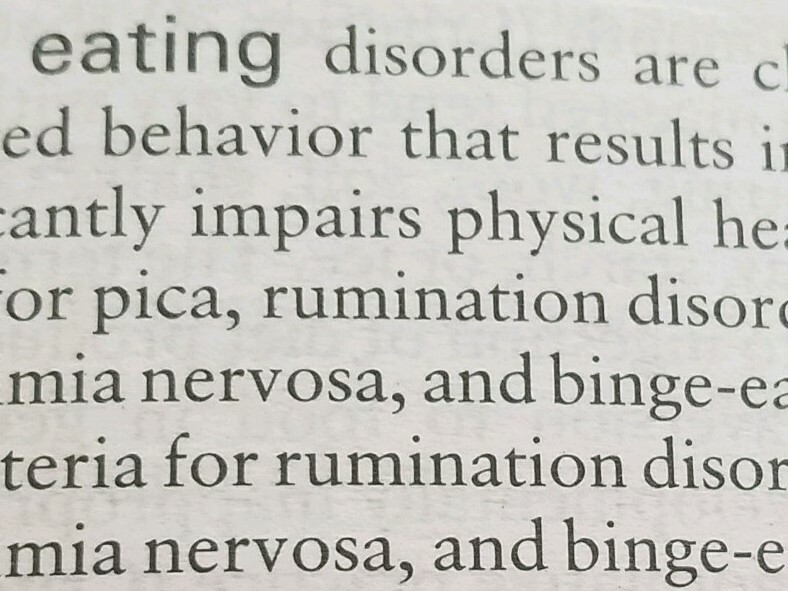 Eating disorders can involve the restriction of food, binging on large amounts of food in a short period of time, and destructive behaviors to prevent weigh gain such as self-induced vomiting or taking excessive laxatives. Eating disorders often have complex and devastating consequences for one’s health, productivity, and relationships. While an eating disorder may seem to be an unhealthy obsession with food and weight, it is really a symptom of something deeper. It is common to find that the control that people try to establish within their eating disordered behaviors are just the person’s attempt at coping with strong emotions and anxiety that exists in other areas of their life. Psychological factors that can contribute to Eating Disorders may include low self-esteem, feelings of inadequacy or lack of control in life, and/or depression, anxiety, anger, stress or loneliness. Interpersonal factors can also contribute. These factors can include troubled personal relationships, difficulty expressing emotions and feelings, history of being teased or ridiculed based on size or weight, or even a history of physical or sexual abuse. Social pressures are very strong especially with the increase use of social media. There are cultural pressures that glorify “thinness” or muscularity and place value on obtaining the “perfect body”. This places all of a person’s value on what they physically look like on the outside and discount the inner qualities. How do I know if I have an eating disorder? How Do I Start Treatment? Meeting with a clinician one-on-one for a first visit is the first step in addressing your symptoms. Based on this assessment, your therapist can help you decide on the best approach to begin to work on your symptoms. Starting treatment is a big step, and we’re here to help. Our clinicians are here to answer any questions you may have, and to help you through the process of getting started. To request information or to get started with a counselor, fill out our contact us form and we will be in touch.